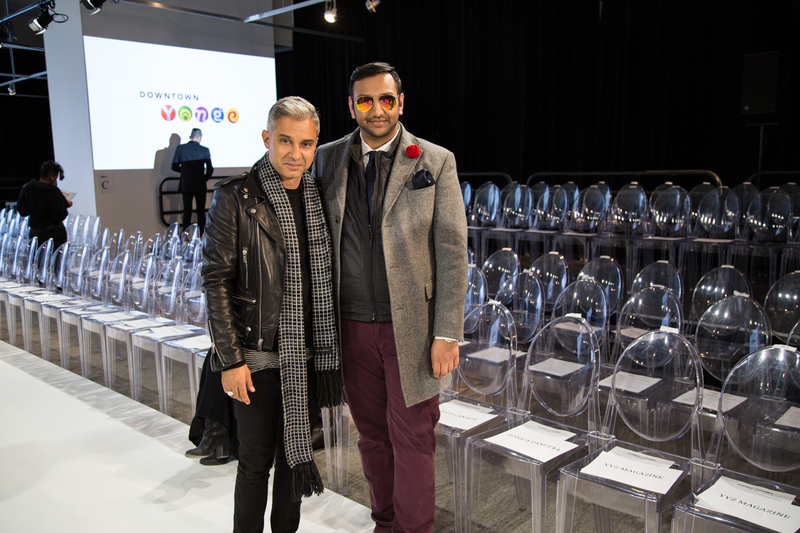 Day One of Toronto Men’s Fashion Week or TOM*FW was a blast with amazing shows from some of Canada’s best menswear designers and some of the coolest people in the industry. Even though it was extremely cold outside, I managed to deal with it to get these dope shots from Harbirz Inc. Creative Studio. I wore head to toe Le Chateau, one of Canada’s leading fashion retailers which was super exciting. The idea behind this look was to have a stylish yet very easy to do look. I started off with the key piece which was the amazing cashmere blend coat. The coat served as the perfect layering piece and let’s not forget the fabric is produced in Italy! However, I knew that I wanted to stay warm but also keep the look youthful and fresh so I opted for a puffer vest. For the wow piece, there was an incredible tie with embellishments which really caught my eye! The final top layer was a classic white stretch shirt. 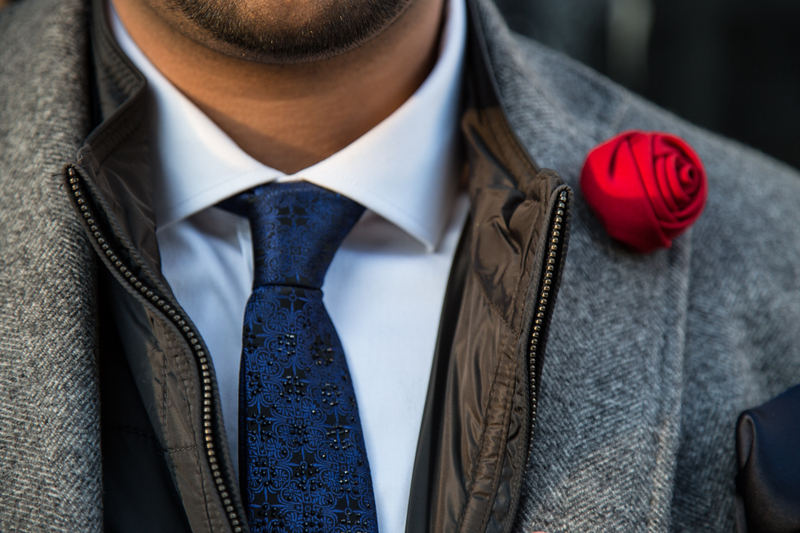 I chose a very simple and sleek navy blue pocket square to maintain the focus on the tie. I wanted to introduce a colour with the trouser, however I didn’t want it to clash with the rest of the outfit. So I decided to go for a beautiful plum colour slim leg trouser. 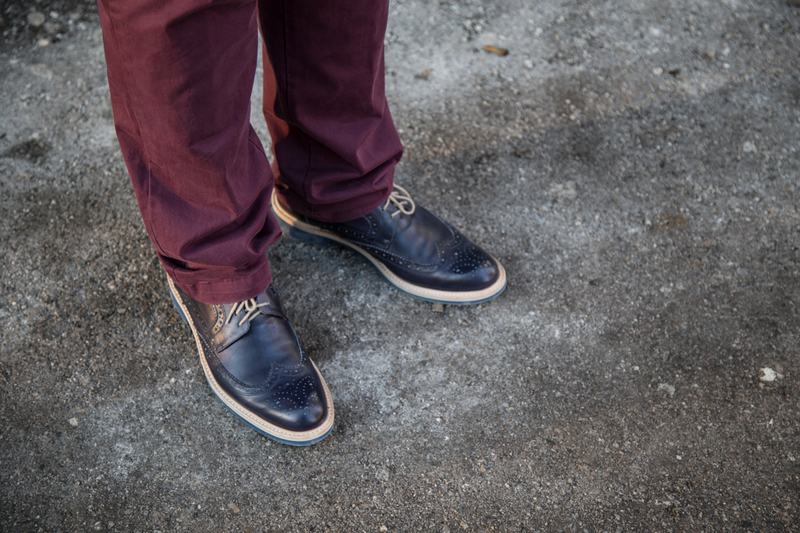 No outfit is complete without great shoes and accessories. 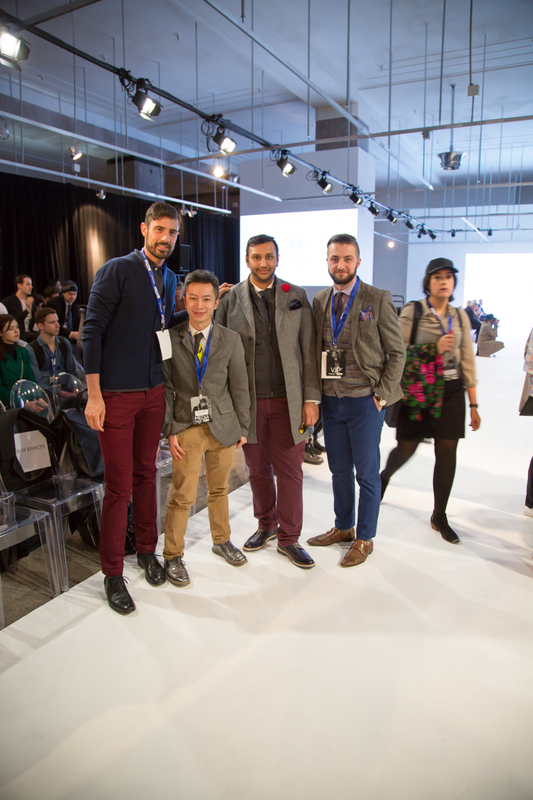 I knew that the gents coming to Toronto Men’s Fashion Week would be rocking so amazing kicks, so I had to upstage them. I wanted to tie in the navy from the tie and pocket square to keep it balanced with the footwear. Not only were these dapper brogues stylish, they were extremely comfortable, which was super important because I was running back and forth from school to the fashion week location. If you are like myself, than you must have a major sunglass fetish! I was obsessed with these wicked reflective frames (similar), which tied in the plum coloured trousers. To complete the look I wore an ESQ Movado watch and a bracelet set from Le Chateau.